Q: This narrow complex rhythm shows an early beat after every three beats (group formation), which continued on a longer registration. What is you diagnosis? 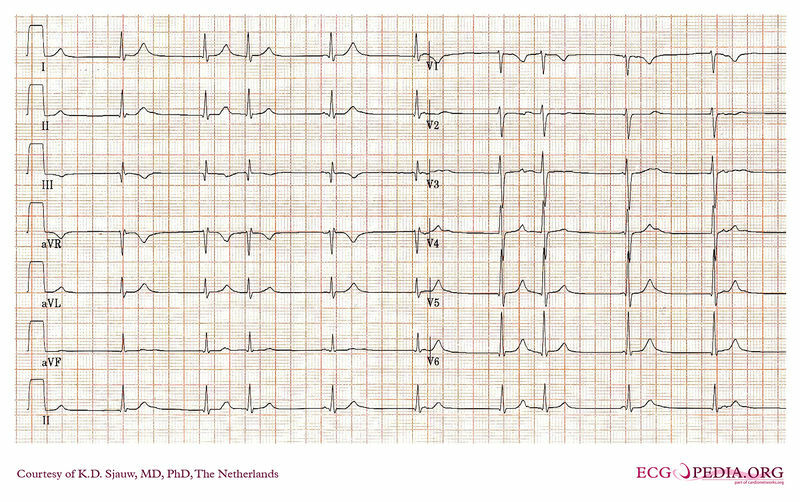 D. Competition between sinus rhythm and nodal rhythm. No second or third degree AV block. 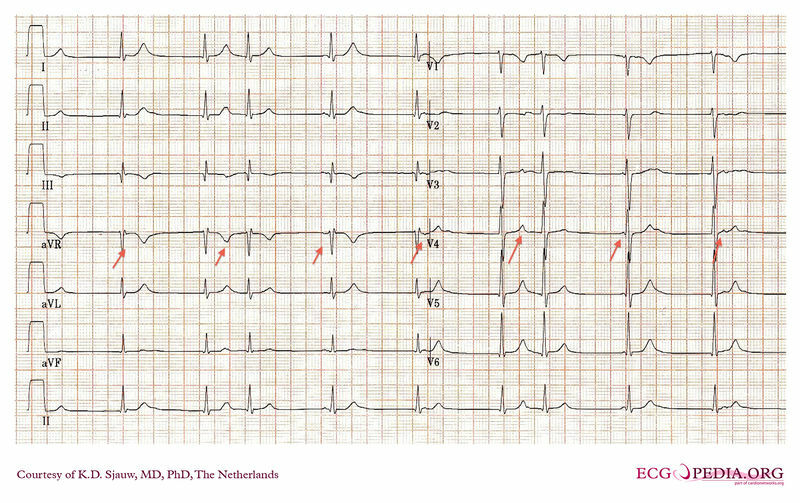 Correct answer: D. The [second ECG] shows continuous sinus rhythm (about 45/min) on atrial level in competition with a AV nodal rhythm (about 55/min). Most sinus beats are blocked in the AV node or below due to refractoriness. The ones that occur longer after the previous beat get conducted, resulting in an additional ventricular contraction. The first arrow point to a P wave that is not well visible, but is deducted from the pattern thereafter. This page was last edited on 10 May 2012, at 13:03.